Get moving with 5 minutes of yoga every day! 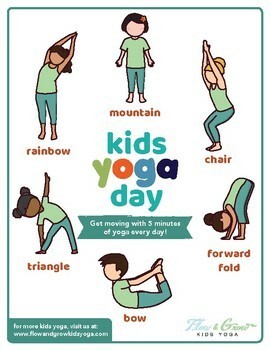 Kids Yoga Day is held on the first Friday in April and was founded to bring the powerful benefits of yoga to children. Join us in a 5-minute yoga routine with our free Kids Yoga Day sequence poster!